"The United States calls on Ukraine’s leaders to redouble their efforts to implement reforms." The US Department of State has honoured the memory of the Heavenly Hundred and called on Ukraine to fulfil the promise of the Maydan given four years ago. 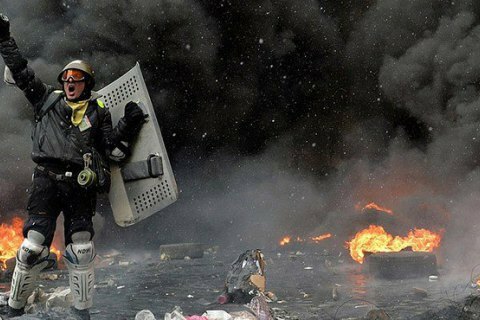 "Four years ago, Ukrainians from all walks of life and all regions of the country came together on the Maydan, Kyiv's central square, to demand their government recognize the choice of the citizens of Ukraine to join Europe. Scores of Ukrainians—the “Heavenly Hundred”—gave their lives on the Maydan for the dream of a better Ukraine. The United States will continue to stand by Ukraine as it faces ongoing Russian aggression, which has claimed over 10,000 lives and displaced more than 1.6 million Ukrainians," the Department of State said on its website on 19 February. "Ukraine has taken important steps over the past four years, yet there is still more work needed to fulfill the promise of the Maydan and unlock Ukraine’s potential. The United States calls on Ukraine’s leaders to redouble their efforts to implement the deep, comprehensive and timely reforms that are necessary to build the stable, democratic, prosperous, and free country Ukrainians deserve. We are proud to work with the people of Ukraine to honor the sacrifices made four years ago for Ukraine’s European choice," it went on.